If you’re a frequent sewer, you probably have a whole bunch of fabric scraps. Throwing them out isn’t an option, and they’re not big enough for a major project, what can be done? Here’s a collection of 12 projects that don’t require big pieces of fabric, perfect for using up those remnants. This keychain, also known as a key fob, makes a great handmade gift. The hook makes it easy to add or remove key rings or you can attach it to a bag. You can adjust the measurements to make it the length you prefer. Make it longer if you want to be able to wrap it around your wrist easily, or make it shorter if you want a smaller key chain that’s easy to find in your bag. 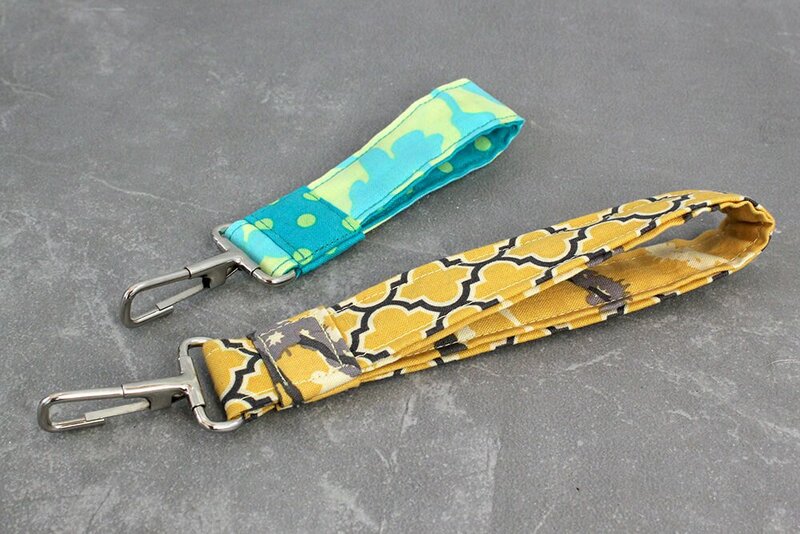 Learn how to make a fabric key fob. Have some extra felt lying around? 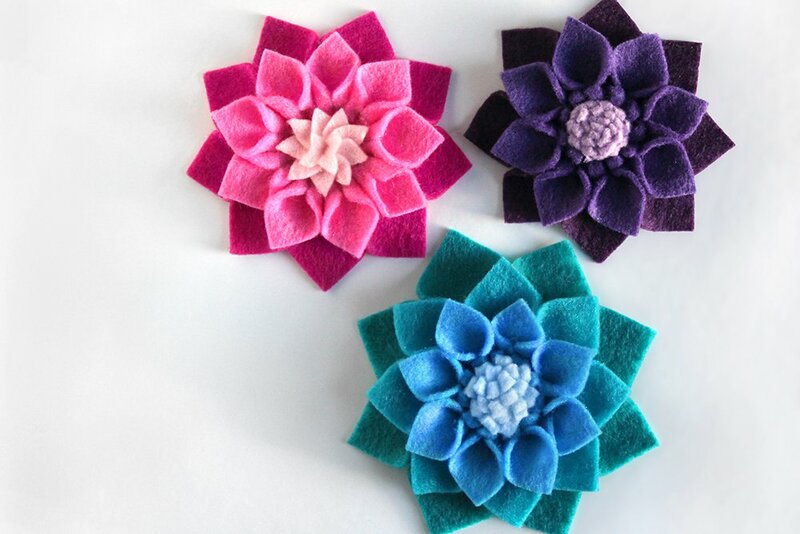 Try making felt flowers! Felt is an ideal fabric for making fabric flowers because it doesn’t fray and it’s thick enough to create volume and shape. These felt flowers make great broaches, bouquets, or embellishments for headbands, bags, pillows, wreaths, and much more. You can experiment with different variations, like color, size, and petal shape, to make them your own. Learn how to make no sew felt flowers. Have you ever found yourself wanting to ditch larger handbags in favor of something that would just carry the essentials like cell phones, a credit cards, ID and maybe some cash? If so, this wristlet is perfect! It’s simple design that’s a good project for someone looking to get into bag making. No zippers, just two pockets and a snap. The sewing pattern is free to download and try out for yourself! Learn how to make a phone wristlet. 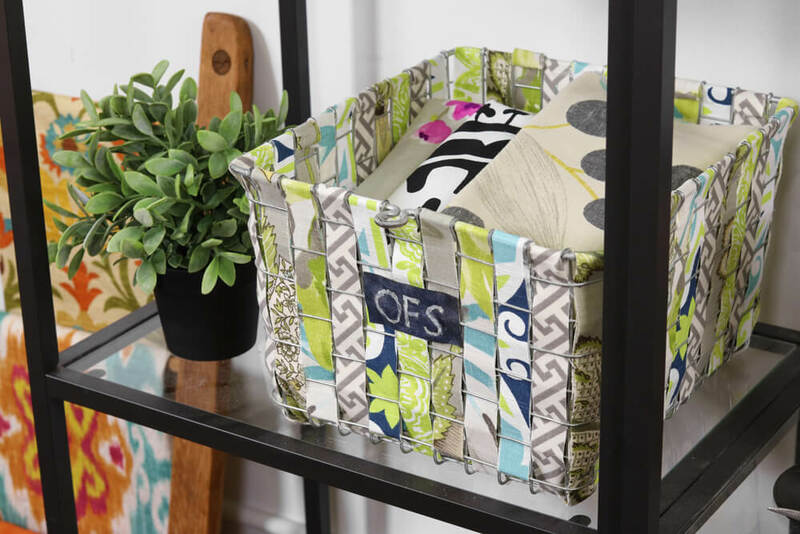 This project requires a wire basket in addition to fabric scraps. We picked up this industrial wire basket at the world-famous Brimfield Antique Flea Market. This is a basket from Kaspar Wire Works, but you can find this type of wire basket many places. 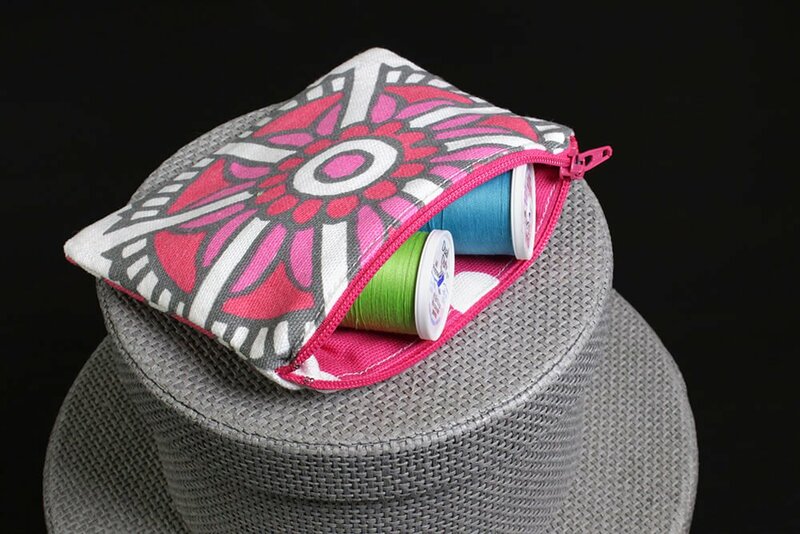 You can weave strips of fabric through it to make a unique decorative storage basket. Learn how to make a fabric woven wire basket. If you have a little vinyl and velvet lying around (and you have glasses), this project is the one for you. 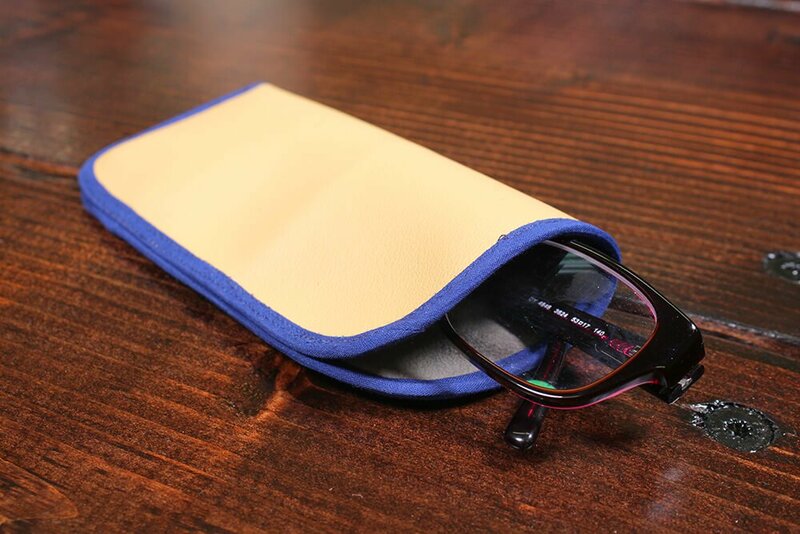 Protect your glasses from the elements with this easy eyeglass case. You can use this simple DIY project to make cases for your prescription glasses, reading glasses, and sunglasses. You can use any fabric you’d like on the outside, but make sure your lining fabric is soft. Learn how to make an eyeglass case. If your a big sports fan, you may have some NFL fabric lying around. Why not make a simple fabric koozie? Koozies are great to have at home, in the car, or take to parties. This fabric koozie is sized for a bottle or can, but the insulation works for both hot and cold beverages. 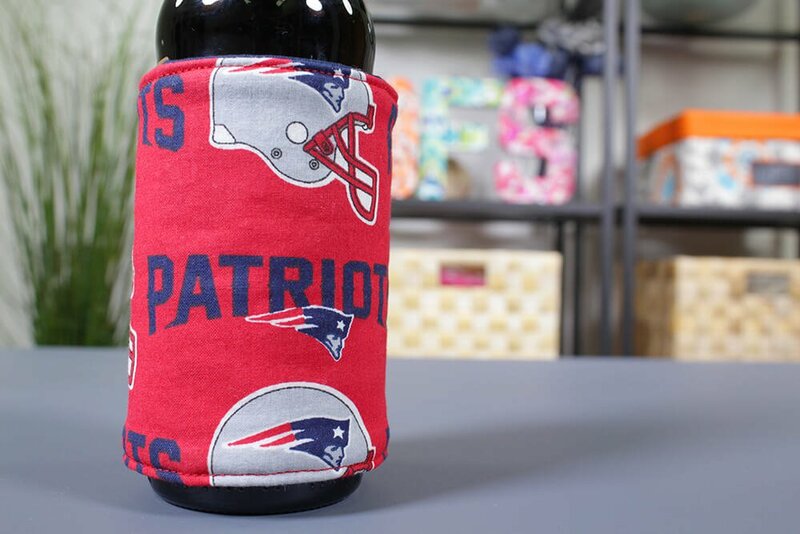 Learn how to make a fabric koozie. Zipper pouches of all sizes are handy to have around for carrying or organizing many different items, from cosmetics and jewelry to phones and technology accessories. This easy project is also a good introduction to zippers. 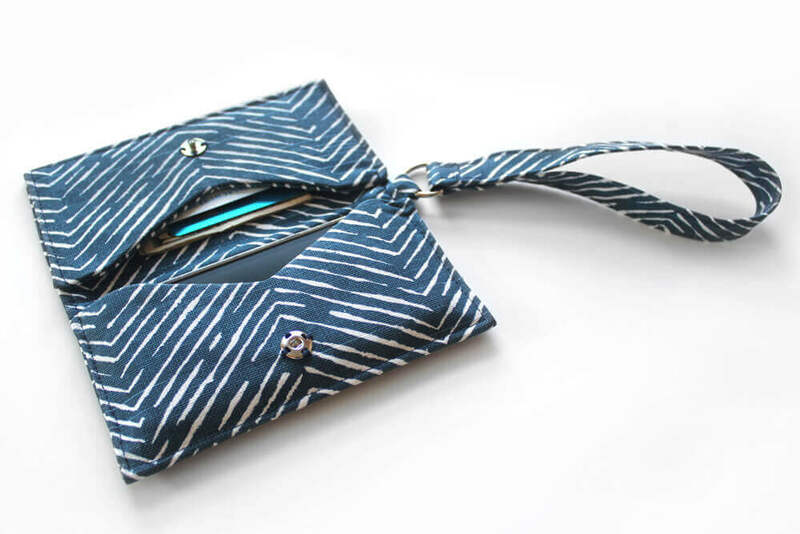 Learn how to make a zipper pouch. 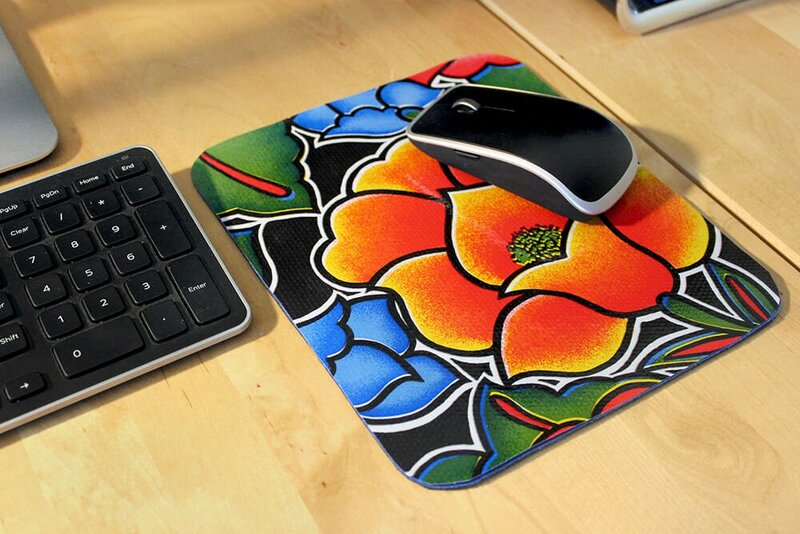 If your mouse pad is looking dingy or just plain boring, it’s quick and easy to give it new life with oilcloth. 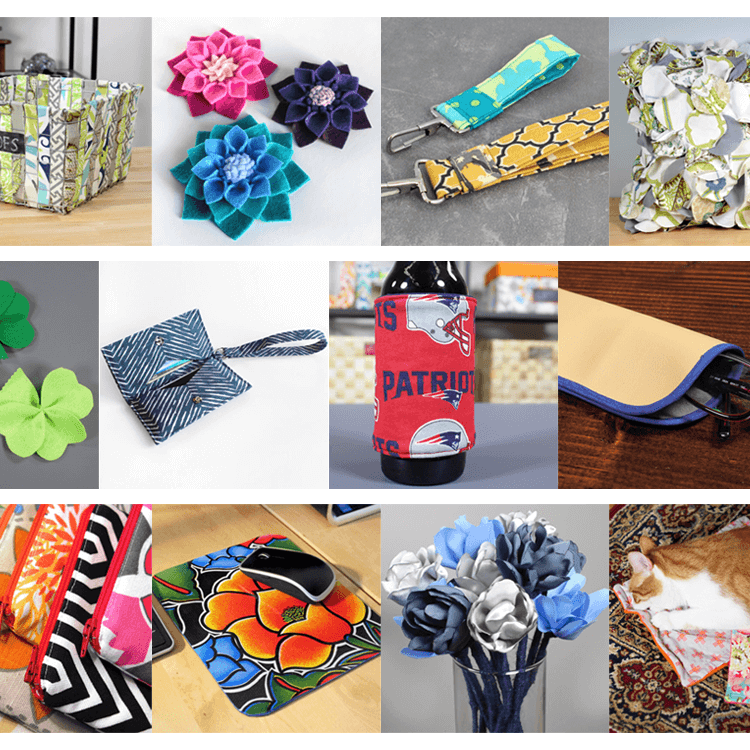 There’s plenty of fun patterns and colors to choose from. The great thing about oilcloth is it’s super easy to wipe off so it will never get stained. You can also use faux leather vinyl if you prefer that look. Learn how to make a no sew oilcloth mouse pad. 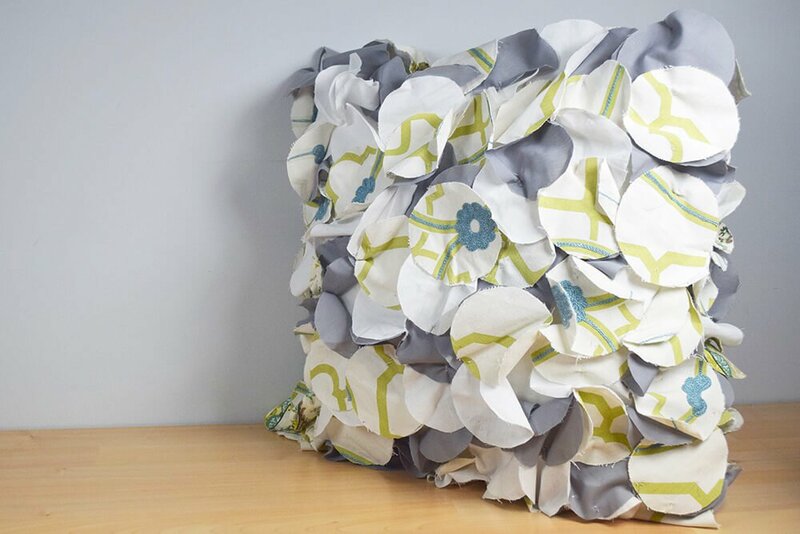 With leftover scraps of fabric you can create this fun, decorative throw pillow. No machine is required, just hand stitching. You can stitch the shapes closer together or farther apart depending on how full you want the pillow to look. Learn how to make a scrap fabric pillow. If you have long strips of lightweight fabrics like broadcloth, satin, or peachskin, you could turn them into fabric flowers. A fabric flower bouquet makes a beautiful center piece or decorative accent that will last. Fabric Flowers can be made using many different techniques. This version has a stem so they can be arranged in a vase. 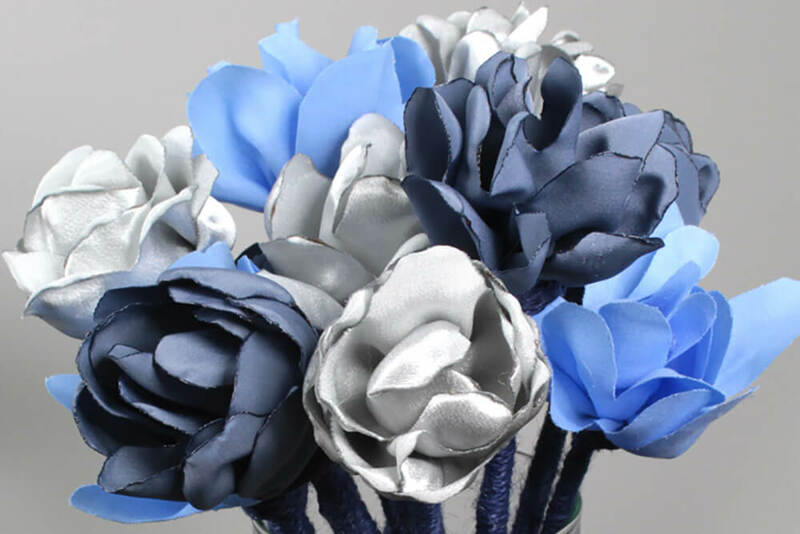 Learn how to make a fabric flower bouquet. Here’s another one for extra felt, preferably green felt. 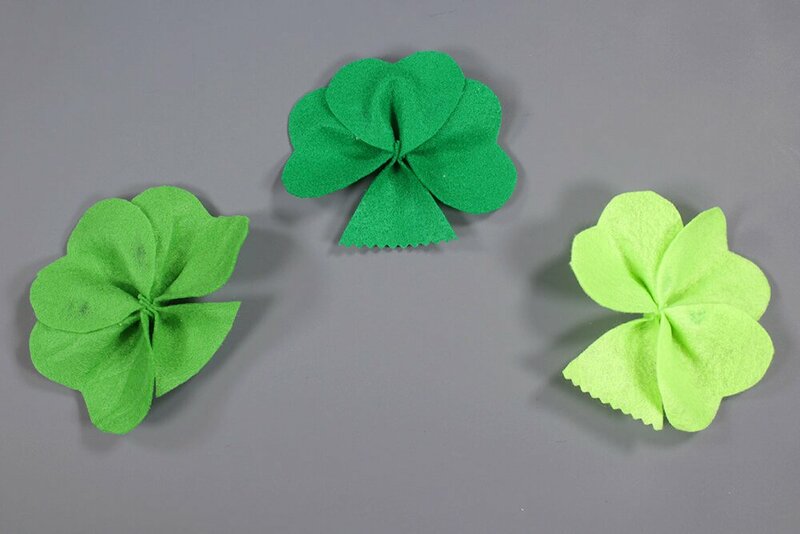 This felt shamrock is quick and easy to make and involves very little sewing. You can make a bunch to hang as a garland, or as decorations in a clear vase. Learn how to make a felt shamrock. Got cats? And a couple scraps just over 1 square foot? Pick up some catnip and try out this blanket. Even if you don’t know a whole lot about sewing, but you still want to make something that’s pretty quick and easy for your fur babies, this is the tutorial for you. 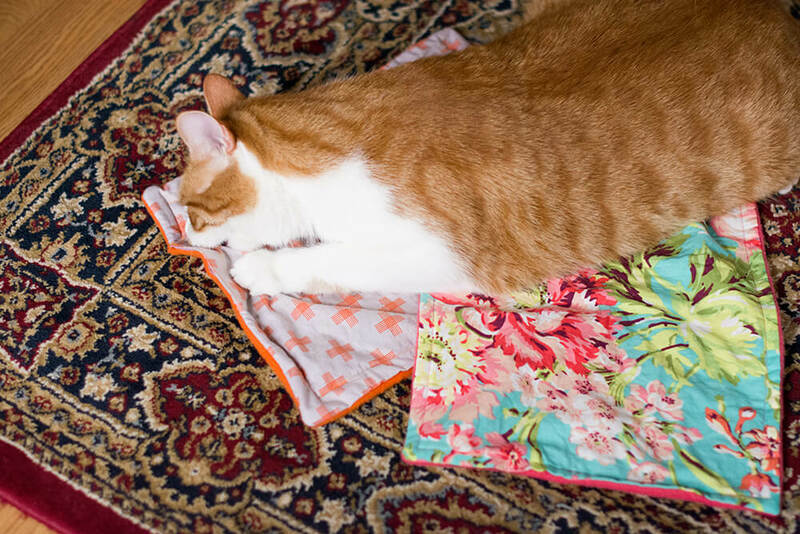 Learn how to make a catnip blanket. See more OFS tutorials here. Why can't I download the patterns to learn? BEST ANSWER: Do you get to the page where you enter your email and then nothing happens? Our guess is sometimes browsers block the PDF from downloading.